In fantastic 3CR Radiothon news: we've made OVER our target for Yarra Bicycle users Group Radio, thank you so much to everyone who donated! 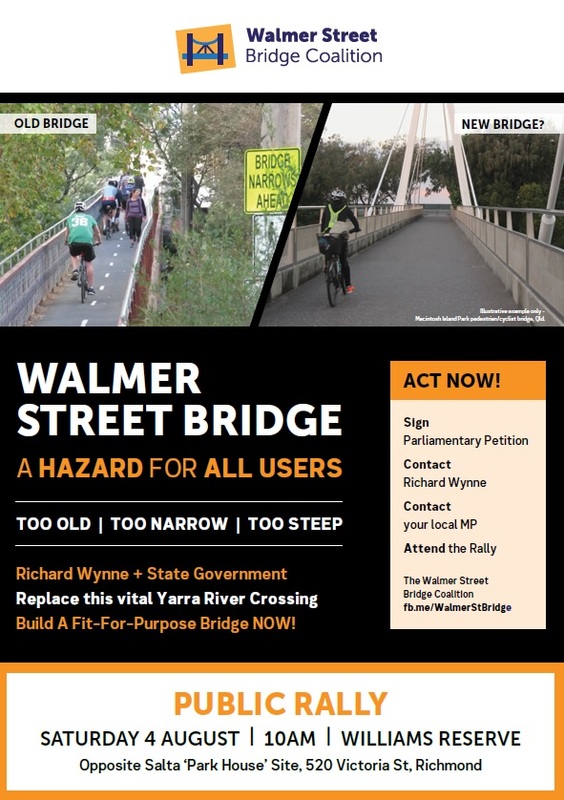 On this weeks program, Chris welcomes Mike Waller from the Walmer Street Bridge Coalition back to the 3CR studio for a catch up on this long running local campaign. Mike explains changes to the Salta site, recent history, what's needed to get a fit for purpose connection between Abbotsford and Kew and the community campaign that consists of Yarra and Boroondara Councils, Walmer Street Action Group, Collingwood and Abbotsford Residents Association (CARA) and the Yarra and Boroondara Bicycle User Groups. Mike also explains how you can get involved, including a downoading, signing and returning a petition, attending Yarra Transport Forum on Thursday 2nd August, making feedback to Imaging the Yarra by 31 July and also attending the It's time to replace Walmer Street Bridge Rally on Saturday 4th August, 10am at Williams Reserve, 520 Victoria Street, Abbotsford. 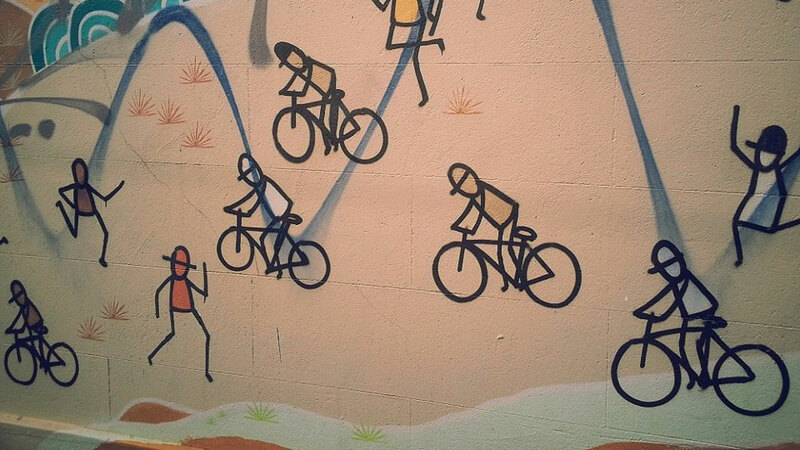 Bicycle-themed news includes Fed Square banning riders from locking up to railings, Chris Froomes TdF legal skirmish, Matthew Guy's unfortunately named $30b 'triple bypass', La Course and three new Yarra Local Area Place Making Study (LAPMS) for you provide feedback about local traffic conditions and improvements for Abbotsford, North Fitzroy and Richmond by 5pm, Tuesday 17 July 2018.